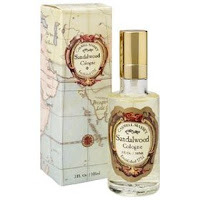 The sumptuous gardens of Maharajahs and Maharanis are fragranced by the rare sandalwood tree. The scent is as intriguing as India itself, and equally suited to men and women. Rich sandalwood fragrance is known for its long lasting scent. 3 oz. natural spray bottle. Boxed. Fragrance Family: Spicy, Woody.